USA Curling's National Championships will make a return to Kalamazoo, Mich., for the third time as the 2019 Nationals will take place at Wings Event Center. The weeklong national event features the top men's and women's teams in the country and helps determine Team USA for the subsequent World Championships. Kalamazoo, which hosted the 2015 and 2010 National Championships, will stage the weeklong championship at The Valley, an NHL-size ice arena with bleacher seating. Limited seats left for Saturday! Buy now! USA Curling National Championships kick of Saturday, February 9 with Opening Ceremonies and the first games of the tournament. Opening Ceremony begins at 5pm. We’ve teamed up with the Sports Manage Department at Western Michigan University to put on a variety of student-focused events off the ice! Learn more here. In addition to the student activities, fans will also get the chance to meet Olympic Gold Medalist - Tyler George! He will be hosting a meet & greet from 8-9pm at Wings Event Center. Must have a ticket to the USA Curling Nationals to participate in the meet & greet. Join us for a full day of curling in Kalamazoo! In the evening, a Night of Networking and Curling will be taking place with area professionals and students. Watch some of the nations best athletes compete for the title of USA Champions. Who says the kids get to have all of the fun?! Curling is a great sport to learn and watch at any age. USA Curling Nationals is the perfect event to add to you activity list! Make it a date night or night with family and friends at USA Curling Nationals! Beer and curling go hand-in-hand, so why not make a night of it! A sampling area will be set up at the tournament to enjoy brews and watch the games. The tournament comes to a close and the USA Champion team is determined - don’t miss out on any of the excitement! 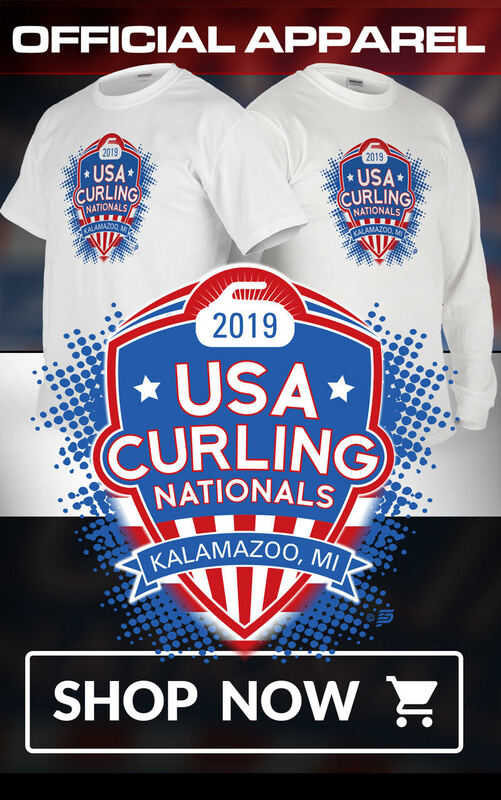 Attend USA Curling Nationals in style with branded clothing for the 2019 tournament!